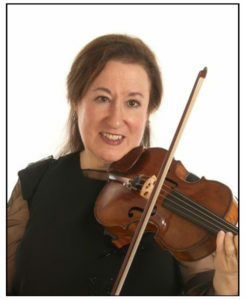 The inspiring fact about emerging artists is their tremendous drive to create. 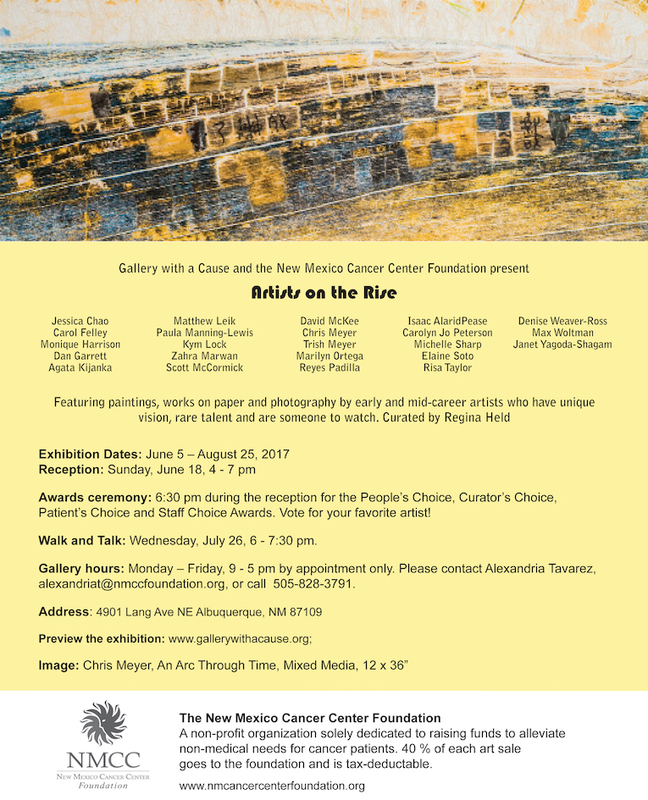 This exhibition at the NM Cancer Center features paintings, works on paper and photography by artists in that fertile state of their careers where art is their life. All of these artists have unique vision, rare talent and are on the rise! The NM Cancer Center Foundation raises funds to alleviate non-medical needs for cancer patients. 40% of each art sale goes to the Foundation and is tax-deductable. Exhibition dates: June 18 – August 26, 2017. Reception: Sunday, June 18, 4-7 pm. Special Guest: We are especially pleased and fortunate that renowned concert violinist and educator Priscilla Hallberg (see photo on the right) has very graciously agreed to perform for us during the reception. You are invited to read more about her. Walk and Talk: Wednesday, July 26, 6-7:30 pm. A free and entertaining gallery walk with curator Regina Held. Learn about techniques, the artists, the NM art scene and the stories behind the work. Gallery hours: Monday-Friday, 9 am–5 pm by appointment only, please contact Alexandria Tavarez. Admission is free during regular gallery hours. Visit the Gallery With A Cause Online – Entire exhibit on display, with detailed information about the artists and each piece of art. Please consider a donation if you are unable to join us for the opening or arrange a private appointment.